Browse popular golf courses and schools in and around Frisco. Find Frisco schools and other information about the educational environment in Frisco. View ratings on Frisco schools and get the academic performance for each school in Frisco. 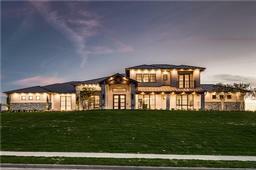 Search thousands of Frisco real estate listings, Frisco Homes, Frisco homes for sale, Frisco homes for rent on HAR.com. From property descriptions and photos, to Frisco home values, Frisco schools and Frisco neighborhoods, Frisco condos, Frisco apartments, Frisco real estate agents, Frisco real estate firms you have access to the most information you need to make a better decision about Frisco real estate. HAR.com has the most accurate Frisco real estate listings information that offer detailed property information that could help you find the home of your dreams. Frisco is an affluent city located in Collin and Denton counties in Texas. It is part of the Dallas-Fort Worth metroplex, and is located approximately 25 minutes from both Dallas Love Field and Dallas/Fort Worth International Airport. With major highways north-south and east-west, the city is well-positioned on the path of growth in the Dallas area. As of February 1, 2015, the city had a population estimated at 145,900. Frisco was the fastest-growing city in the United States in 2009, and also the fastest-growing city in the nation from 2000 to 2009. In the late 1990s, the northern Dallas–Fort Worth Metroplex suburban development tide hit the northern border of Plano and spilled into Frisco, sparking explosive growth into the 2000s. Like many of the cities located in the booming northern suburbs of Dallas, Frisco serves as a bedroom community for many professionals who work in the Dallas–Fort Worth Metroplex. 1678 Homes for sale and rent in Frisco. Search Frisco Real Estate and find real estate listings for sale and real estate for rent on HAR.com. View recently listed homes for sale and Frisco homes for rent, trending real estate in Frisco, recently sold homes in Frisco, home values in Frisco, schools in Frisco and neighborhoods. You can also narrow your search to find condos in Frisco, apartments in Frisco and more. Just click on the link to find real estate agents in Frisco, real estate firms in Frisco so you have access to the most information you need to make a better decision of buying and selling your home in Frisco. The number of active real estate listings in the Frisco for Sale is 1454. The average list price for a home in Frisco is $599,532. The number of active real estate listings in the Frisco for Rent is 224. A home in the Frisco has a median square footage of 3,464.